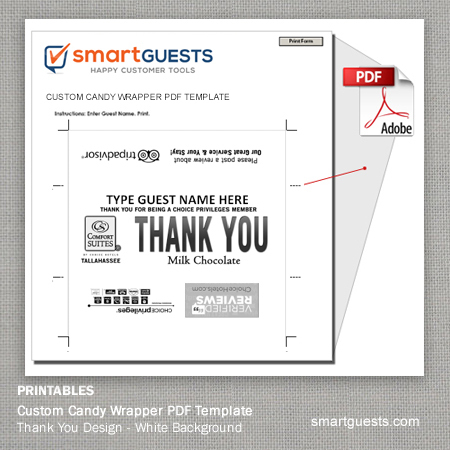 1) Our designers create a custom PDF template file with your details. 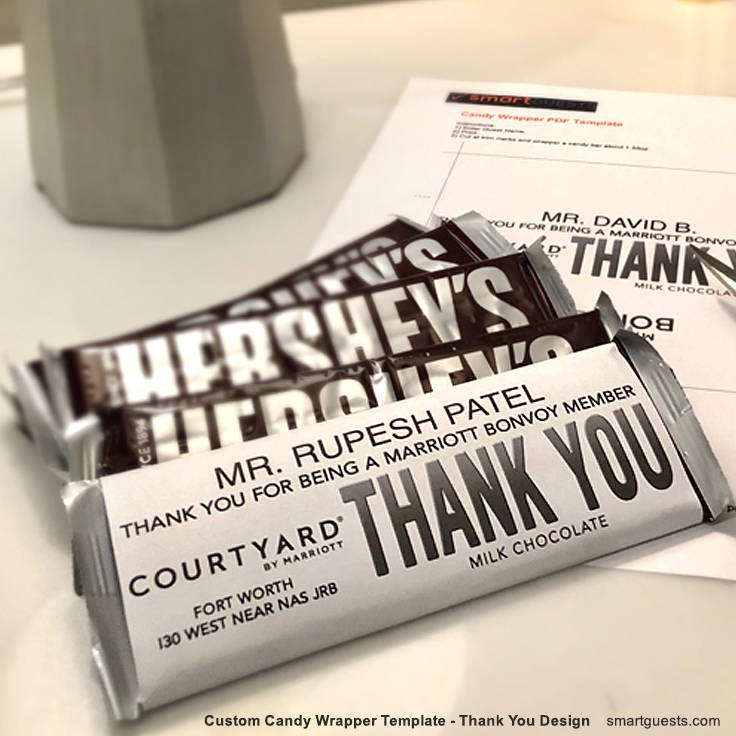 We email it to you. 3) Wrap it around a standard candy bar and bring BIG smiles to your guests. 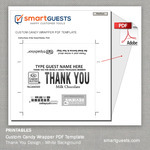 This is a unlimited use, one time payment tool that you can utilize forever. Recognize loyal guests and rewards members the fast and easy way. 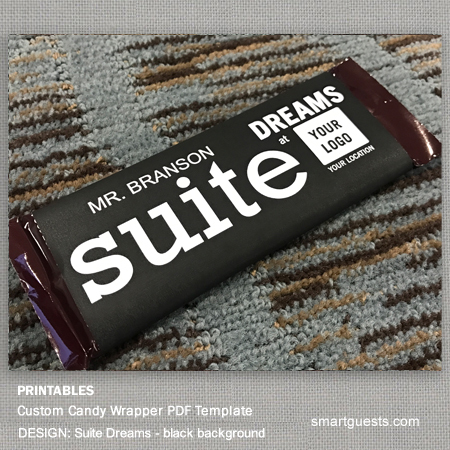 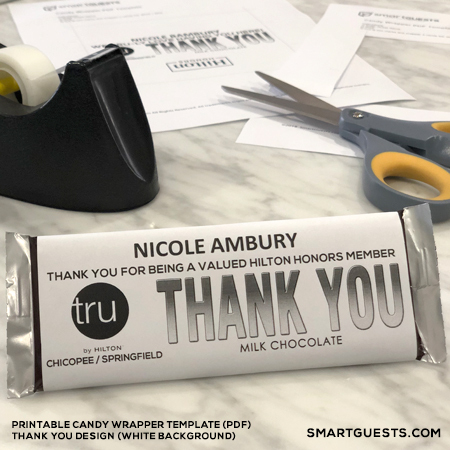 Simply type your guest's name into our customized PDF, Print (regular printer/paper), Wrap around a candy bar and present! 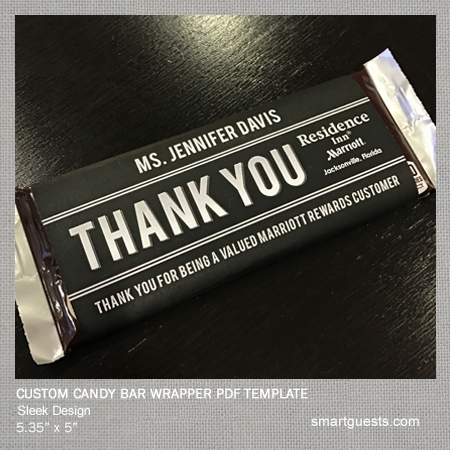 Improve your customer service scores by impressing guests at check-in. 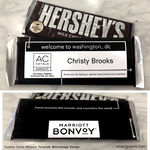 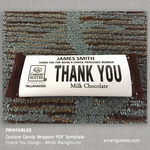 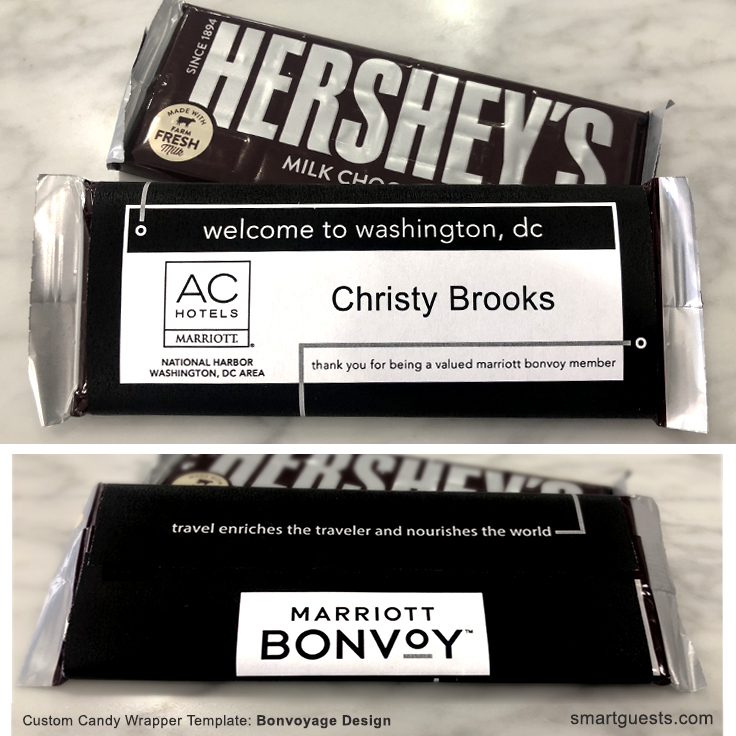 Add a sweet, personal touch with guest's name on a candy bar with our wildly popular Custom Candy Wrapper PDF Template. * Property specific with brand logo, name, loyalty program, review/social site. 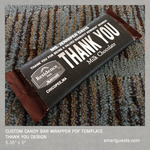 Average cost per candy bar is equivalent to a breakfast muffin BUT remembered by guest 100 fold over. 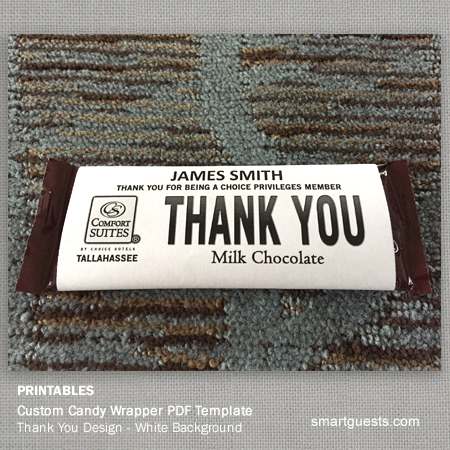 *For Individual Property Use Only. 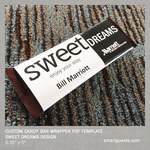 We can add your hotel brand's loyalty/rewards program logo to the back, upper top. 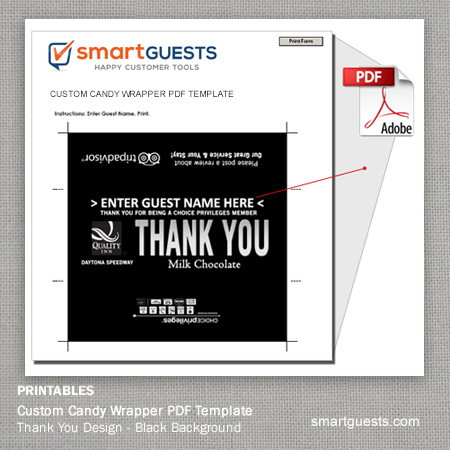 The lower back portion of the template can include a review site such as TripAdvisor, Yelp, Google+, Facebook. 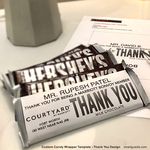 Our Service & Your Stay!